With this purpose from this year we joined the Project Sports Humanitarian Solidarity with the no-profit association “I RUN FOR FIND THE CURE” which consists for the year 2017 the construction the construction of the Maternity Nafadji Coura in Mali. 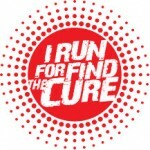 (www.findthecure.it). Born in January 2013 the first “Corto Circuito Solidale”: “CCS”. Each race of the “CCS” in fact supports firsthand the humanitarian project, and asks its athletes to follow its example.